Those words are from the heart of Dave, who left seminary with a desire to minister to people in his native country. He and his wife embraced the mission of The Master’s Academy International (TMAI) and were eager to serve the Lord by training church leaders and strengthening the local churches. Dave and his wife, however, would be disappointed, as the Lord would close the door for them to minister in his homeland. Though they were disappointed, Dave was not deterred from his commitment to gospel ministry and to training other men to strengthen and shepherd the Church. With his heart still set on making disciples of all nations by training indigenous leaders for ministry, Dave explored other ministry options in the surrounding countries and region. His passion was to continue training somewhere in the world—anywhere in the world, but the question left to be answered was—where? After a few investigative trips and counsel from his church elders, Dave and his wife ultimately decided to join the team of The Expositor’s Academy (TEA), TMAI’s member school in the Philippines. He has joined TEA in the role of Director of TEA Southern Philippines, enabling the other staff members to reduce their travel while still expanding the training center’s ministry. Before Dave joined the team, staff members were traveling to that region about twice a month. In an amazing example of God’s kind providence, Dave has been able to minister particularly to several medical students living in the Philippines—students who plan to return to Dave’s native India after completing their training. He’s been invited to participate in a radio program three nights a week designed to reach Indians. 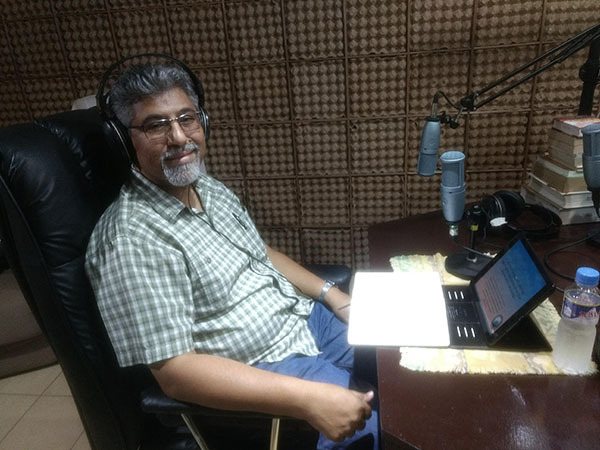 He’s also been blessed to record clear gospel presentations in both Hindi and English, with some of the Indian students recording it in Telugu and Tamil. Additionally, the Lord has opened the door for a regular Bible study with Indian medical students in the Philippines. 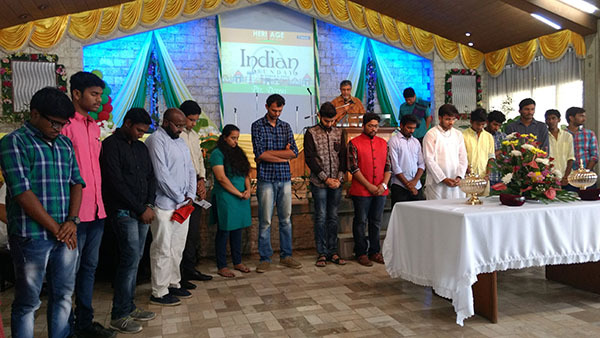 These students long to return to India as “Pastor-Doctors” and serve the physical and spiritual needs of people. Dave is laboring diligently to prepare them for such a monumental task. Though the location is different than he expected, Dave has seen the Lord’s wisdom and sovereign grace in allowing him to still minister to those from his native country, those he has long wanted to serve in ministry, with the additional blessing of training Filipino pastors and church members. Your prayers and support enable men like Dave around the globe to invest in and equip church leaders. Please continue to pray and support theological training through TMAI, enabling our schools around the globe to keep tuition affordable and to continue the work of the Great Commission.